The woman, identified as Vasanti Maruti Nandavdekar, and her son, Soham, were travelling with their family to their native place in Gadhinglaj, Kolhapur, to attend the funeral of the woman’s mother-in-law. The victims are all residents of Pune. A 35-year-old woman and her son died in a road mishap that left six others in the family, including three children, injured. 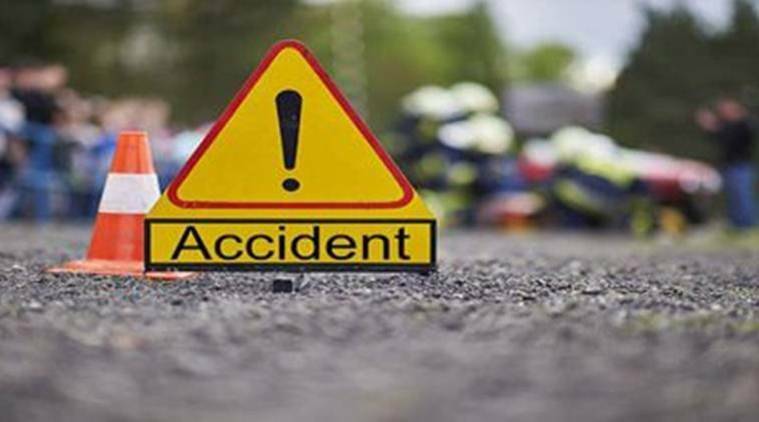 According to police, the incident took place at Harale village in Gadhinglaj taluka in the early hours of Saturday, when their four-wheeler rammed into a tree on the roadside. The victims are all residents of Pune. Police said the woman’s husband, Maruti Jyotiba Nandavdekar, sister-in-law Alka Motiram Savant and her husband Motiram Savant, and three children, as yet unidentified, were left injured. Police added that Vasanti was a teacher. Maruti works in Pune and his mother, who lived in Gadhinglaj, died on Friday. On receiving the news, Maruti, Vasanti, and other family members left for Gadhinglaj in a four-wheeler. Police said local villagers rushed to the accident spot along with police and took the victims to a hospital. However, Vasanti and her son succumbed to injuries at the hospital.